A common question that is asked is whether Paid Parental Leave is Taxable? Paid Parental leave and Dad & Partner Pay are both taxable income. This means that they need to be reported in your Income Tax Return. As with any other year that you work, your employer will still need to give you your annual PAYG Payment Summary which will include your Paid Parental Leave and the amount of tax that was taken out of this. This is included in your Gross Payment amount and the Total Tax Withheld amount. You may or may not receive back the tax taken out of your PPL. This is different for everyone’s situation as you may have received other types of income throughout the financial year such as salary, annual leave or long service leave. If you have received your payment directly from Centrelink rather than an employer, they will send you the PAYG Payment Summary which will include the Paid Parental Leave details for you to include in your tax return. When you are paid directly from Centrelink they withhold 15% of your paid parental leave as tax. Again, whether you get that tax back after completing your income tax return is different for everyone’s situation. It’s the final year of the Child Care Benefit/ Child Care Rebate as Australia moves to the one Child Care Subsidy from 2 July 2018, however you should follow this advice each year! Currently you have the choice as whether you or your centre receives the Rebate. If your centre receives the Rebate they apply it to your account and then only charge you the difference. Going forward with the new Subsidy it will only be sent directly to your provider to allocate to your account and charge you the difference, which is helpful for cashflow! Please, check that the amount on your statement from your provider of Rebate that you have received during the year is the same as the amount in your myGov account. A couple of years ago I noticed that mine were not the same. Actually the amount that Centrelink were reporting as paid in myGov was higher than the amount reported on my statement. What that meant is that Centrelink had sent the funds to my provider and not all of them had been applied to my account. Therefore the difference that I had paid was more than what was required. This would not have been corrected after tax time. The reason for the error was a software glitch and the funds were then allocated correctly, but only because I followed up and brought it to my providers attention. 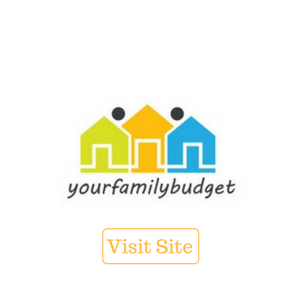 Kiddipedia welcomes Your Family Budget! I’m Lisa, an accountant and a mum to two energetic kids. When my son was born I remember staying up late trying to submit my application for Paid Parental Leave. I couldn’t understand why it was so difficult. Numbers are my thing – I should walk all over this! I just wanted to someone to tell me exactly what I needed to do and I would just do it. Then after having this same conversation again and again with friends, I decided to do something about it. By this time I knew the system well, but I went a step further and read everything available for parents, including the legislation. 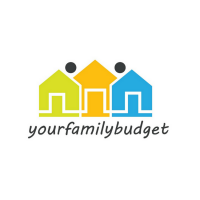 The result is my eBook Your Family Budget and its associated blog. I want parents, and parents to be, to know not just how much money they can receive but also what mistakes they could accidentally make and that they know about all the ‘fine print’ that no one ever tells you about. This way you can tap into my experience and benefit from the hours of research and reading I have done. It’s designed as an instruction manual that applies examples and calculations to your own situation for Parental Leave Pay, Dad & Partner Pay and the Childcare Payments. I hope no one has to queue up unnecessarily or be on hold for hours on the phone because I know I can help avoid this.